Dan is a living example of the term “full-service financial professional.” He is a firm believer in understanding where the client is and where he would like to be. Dan, among other things, relies on his accounting background before assembling long-term financial plans. Today his expertise includes investment planning, retirement planning, educational planning, estate planning and business planning. Dan earned his undergraduate degree in accounting from Rutgers University. He then earned a Masters Degree in Business Administration with a concentration in Finance. 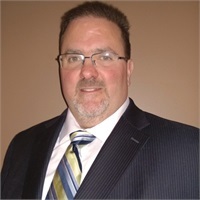 Before joining FFP, Dan had a corporate accounting career, having worked at several well-known New Jersey-based manufacturing companies, all the while building his communication and interpersonal skills. Today Dan holds the Series 6, 63 and 65 Securities Licenses enabling him to sell securities in all states. He is also licensed to sell life and health insurance as well as annuities and mortgages. As Dan firmly believes in obtaining an understanding of where the client is and where he would like to be, he relies on a unique process; The Wealth Maximizer. This thoroughly analyzes a client’s situation before building a cohesive, long-term financial plan. Daniel Taormina can also assist with your mortgage needs. Please click here to learn more.